We all know this is how Bond likes his martinis. But in Casino Royale (the movie and the book), we learned just exactly what makes 007’s cocktail so singular. In this clip, Bond orders a drink that’s three measures Gordon’s gin, one measure vodka, half a measure Kina Lillet, and a thin slice of lemon peel for garnish. 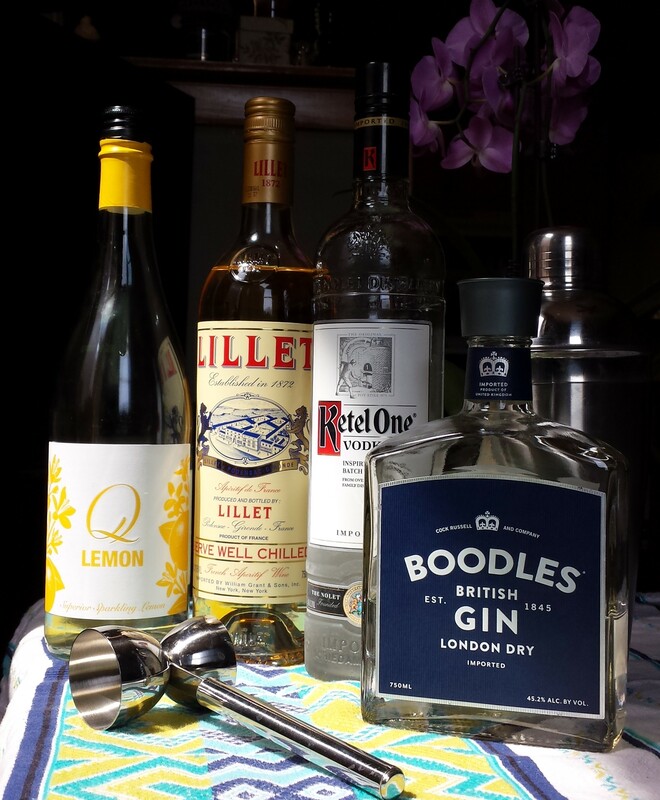 Lillet doesn’t make Kina anymore, but Lillet Blanc—aka white Lillet—is Kina rebranded into a similar formula. I’ve had this version of the Vesper before, and it’s strong, yet dangerously drinkable. The vodka you use should be smooth—you don’t want its “flavor” to overpower the drink. 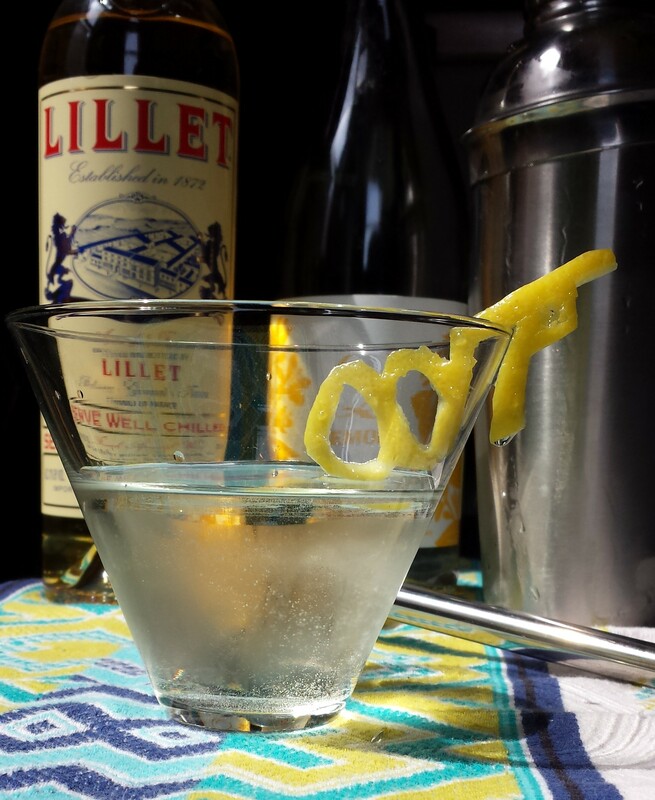 I usually add a little bit more Lillet than what’s called for, and sometimes even a squirt of fresh lemon juice if I’m in the mood. At least that’s the recipe I was planning on sharing before I stumbled onto Q Lemon: lemon-flavored tonic water that’s light, tart, and subtly sweet. Its the perfect complement to the Vesper’s components, plus who doesn’t like a few bubbles in their glass? Shake the vodka, gin, and Lillet over ice until chilled. Strain into a martini glass and top with chilled Q Lemon. Garnish with a lemon peel. Tastes best when gambling for millions in your best cocktail attire. Sweeeet! It might be my favorite cocktail EVER. That honey liqueur sounds delicious!